The Lord returns to Jerusalem today and teaches in the temple for the last time. 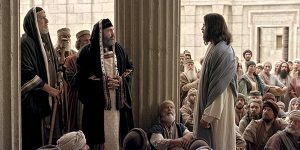 Because of His actions yesterday – cleansing of the temple and the rebuke of Israel’s faith – the leaders of the temple interrupt Him and confront Jesus by questioning His authority. The day begins where it began yesterday, the fig tree. As His disciples pass by the tree on their way to Jerusalem, they see the fig tree that Jesus cursed. It is completely dead and withered (Matthew 21:19-22, Mark 11:20-26 and Luke 21:37-38). 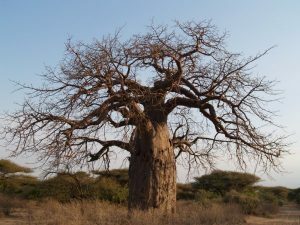 Connected to this is the last teaching our Lord gives in the temple, which is linked to the fig tree: the prophecy of the destruction of Jerusalem (Matthew 24). Because of this Jesus then denounces and rebukes the Scribes and the Pharisees in His “Brood of Vipers” preaching. Our Lord then turns His attention back to the People of God and completes His teaching with the story of the widow’s mite and a fearful prophecy of the destruction of Jerusalem if they do not turn and have faith in Him. From here the Lord leaves Jerusalem and returns to the Mount of Olives. Let us take today to continue to pray and listen carefully to what the Lord is trying to teach and say to us so we may not miss His visitation.